In the middle of October I sent you pix with an appearent UFO. Reviewing my files I found some pix from Nov 08 that shows the same object but not that clear. This time it is on the other side of the sun, closer and head down. You think it is the same object? Really a UFO? The October photo, first in the row, shows what we could only interpret to be an apparent UFO at the time. 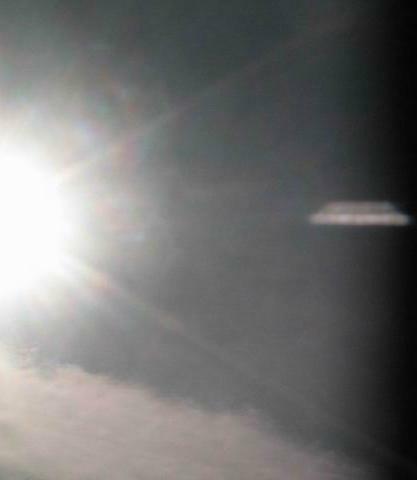 The Nov 8 photos, similar in shape but clearly not a gray solid object, discount that theory. The Surround Personas are moon swirls seen head on, as though looking through a tunnel. What would the swirls look like if viewed from the side?